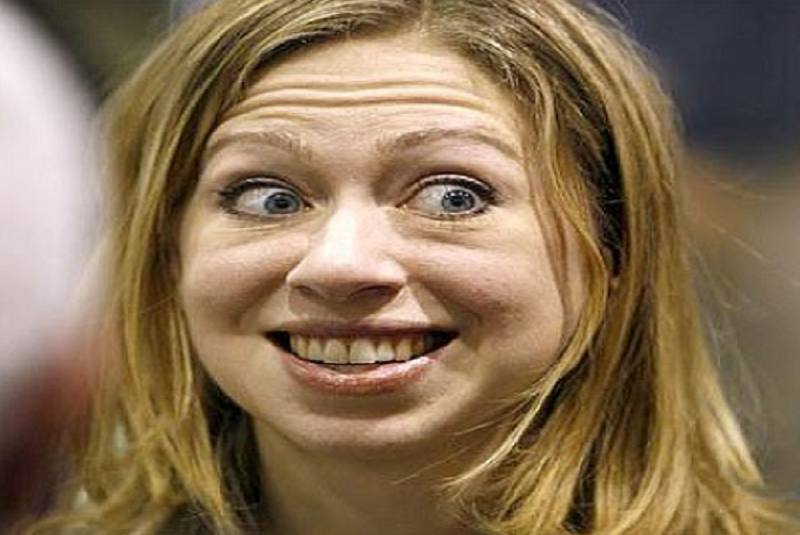 As the well-known idiom goes, “[The] apple doesn’t fall far from the tree,” a new release of documents and emails from the U.S. State Department reveal that Chelsea Clinton is very much like her parents — former President Bill Clinton and former Senator and Secretary of State Hillary Clinton — when it comes to her activities in the political and business worlds. 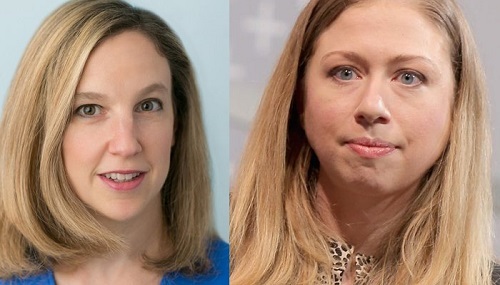 According to Internet gadfly Julian Assange’s Wikileaks, Hillary Clinton created significant opportunities and lucrative connections for her daughter Chelsea and her friend which allegedly led to lucrative government contracts. 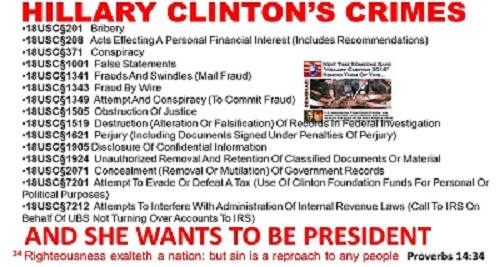 Assange’s information is new, from the Department of State, and more evidence of corruption surrounding the Clinton Foundation also called the Clinton Crime Family by those who’ve investigated their family history. Even during her campaign for the presidency against Donald Trump, Hillary was a boon to her daughter. Chelsea Clinton, with no journalism experience or education as such was hired by NBC News — which also owns MSNBC, the top Trump-hating, GOP despising cable news network. 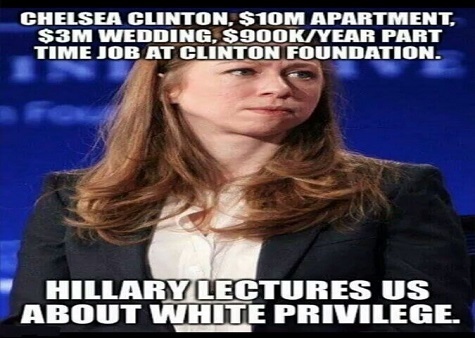 Chelsea Clinton’s starting salary is said to have been between $500,000 and $600,000 per year, which is common among those who surround the Clintons such as Huma Abiden, who was vice chair of Hillary Clinton’s 2016 campaign for President of the United States. Chelsea, who’ll be 39-years-old come February, has accumulated her personal wealth working at the top-notch consulting firm McKinsey and Company and the Wall Street hedge fund Avenue Capital Group. She is a member of several boards, including that of IAC/InterActive Corp. In the nonprofit sector she serves on the boards of the Clinton Foundation’s Clinton Health Access Initiative, the School of American Ballet, the Africa Center, and the Weill Cornell Medical College. She’s co-chair of the advisory board for New York University’s Of Many Institute for Multifaith Leadership, an organization she started in 2012. While serving President Barack Obama as his secretary of state, Hillary Clinton arranged meetings for Jacqueline Newmyer-Deal, a lifelong friend of Chelsea Clinton and who served as the president of Long Term Strategy Group, with top Pentagon officials. The meeting led to millions of taxpayer dollars going to Chelsea’s wealthy friend. Under Chelsea leadership the institute runs a “Queering Faith safe space” for all people to participate in dialogue and explore the intersections of faith, non-faith, spirituality, gender, and sexuality. According to Clinton’s web site, this year’s theme is Queering Faith for all people to participate in dialogue and explore the intersections of faith, non-faith, spirituality, gender, and sexuality. The objective of [the series] is not only to expose attendees to activist and community leaders that incorporate faith in their lives, but to also provide an opportunity to be interactive with the speaker. According to The Net Worth Post, Chelsea Clinton is worth $20 million. It’s ironic that during her run for the presidency, Hillary Clinton and the Democrats complained about wealthy parents enriching their children’s lives through inheritances, or by pulling strings to help their children attend the best schools and assist them in gaining a leg-up at the best jobs. While serving President Barack Obama as his secretary of state, Hillary Clinton arranged meetings for Jacqueline Newmyer-Deal, a lifelong friend of Chelsea Clinton and who served as the president of Long Term Strategy Group, with top Pentagon officials, reports The Washington Free Beacon. The meetings led to consulting contracts for Deal’s D.C.-based Long Term Strategy Group. Jacqueline Newmyer Deal is President and Chief Executive Officer of the Long Term Strategy Group (LTSG), which was founded in 2006 and which provides research and analysis on the future security environment to a range of government sponsors, including the Office of the Secretary of Defense and the National Intelligence Council. Just one more example of Democratic Party hypocrisy that fails to be mentioned by Trump’s friends in the Fake News Media. “It’s not surprising that Hillary would be hawking Ms. Deal. Hillary and her boss Obama were two of the world’s biggest weapons-runners. All told, Deal’s Long Term Strategy Group received millions from DoD contracts in 2009, according to USAspending.gov. One report the Long Term Strategy Group delivered to the Pentagon concluded that the United States historically seeks war as a policy, since many in government descended from the Scots-Irish, who tend to get into fights. The last email exchange between Deal and Clinton took place in May 2011. Clinton attended Deal’s wedding just one day before Operation Red Dawn, where U.S. special forces killed Osama Bin Laden in Pakistan, although there is no connection between the two events.